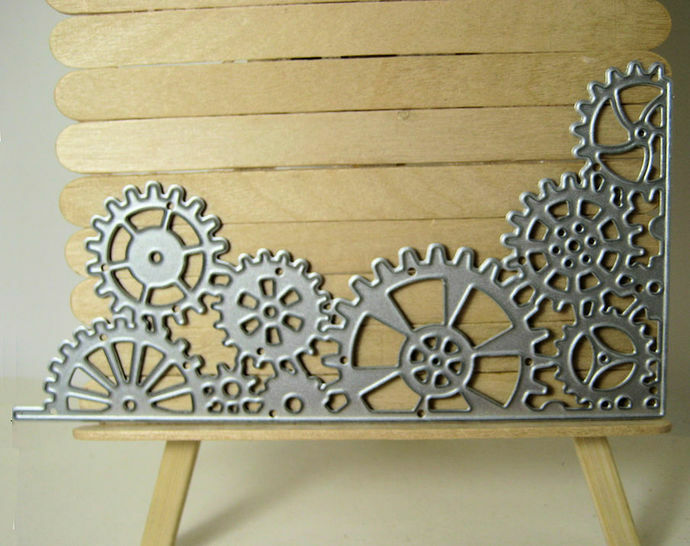 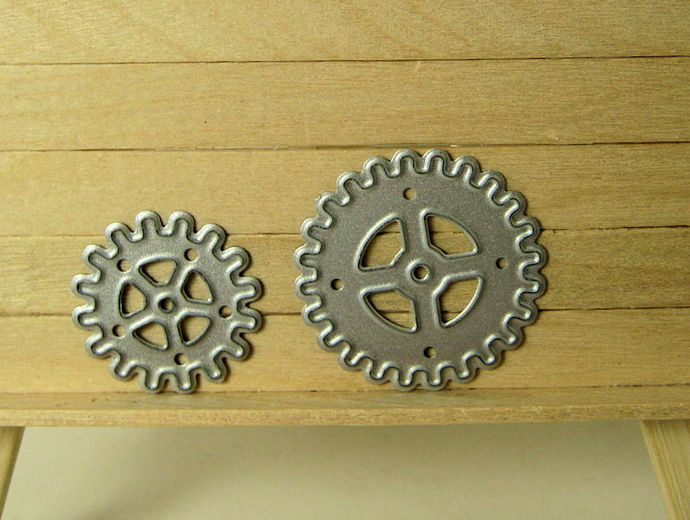 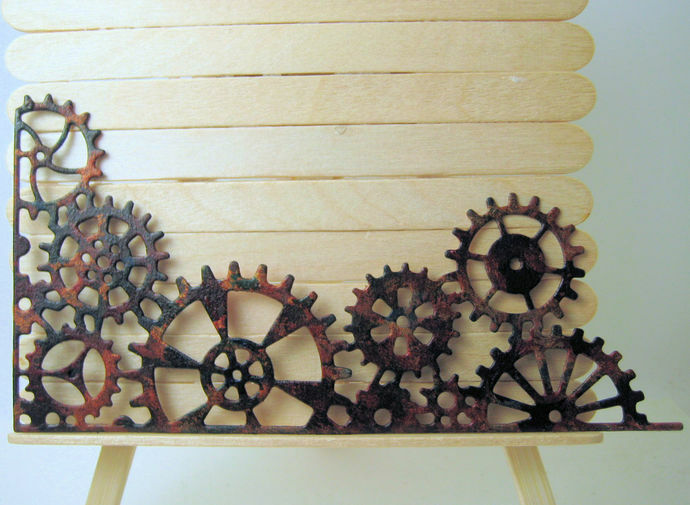 3pc Gears Steampunk Cutting Die Set corner dies is 2 & 5/8" x 5 inches. 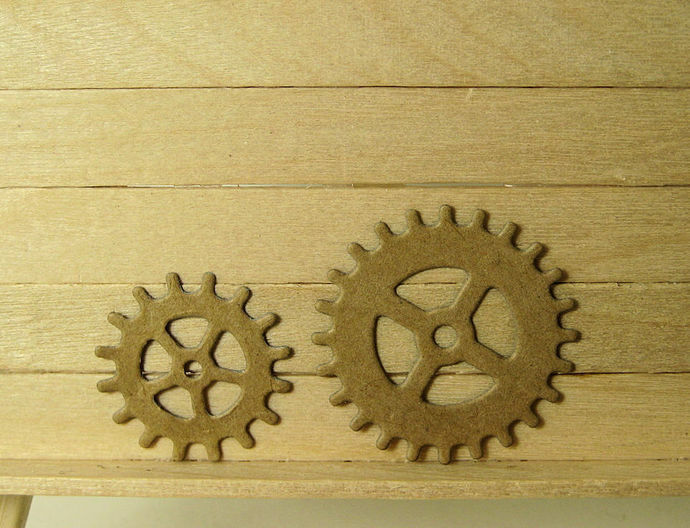 Left Gear is 7/8" across Right Gear is 1 & 1/8" across. 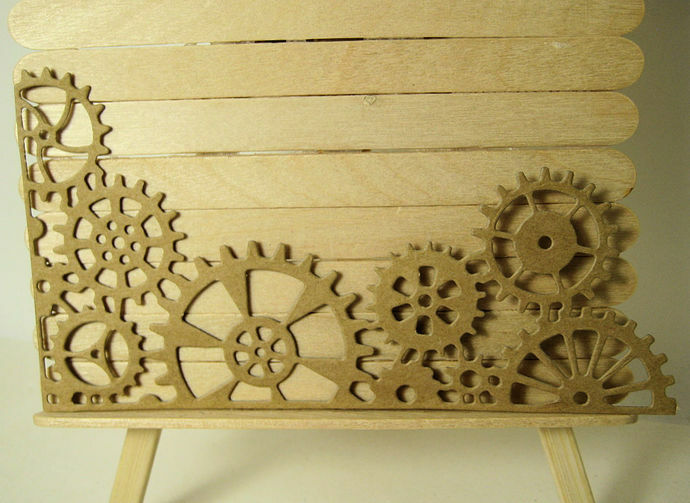 Examples: cut out of Kraft colored cardstock and Cereal Box cardboard that I painted up.